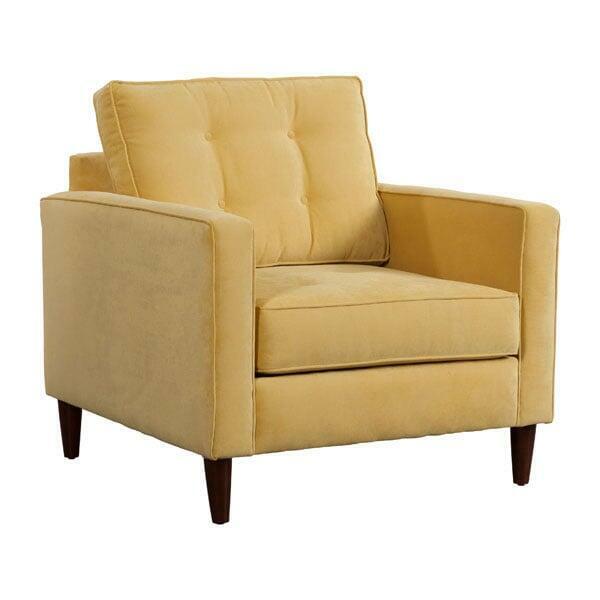 The Savannah is a comfortable, cozy arm chair with a modern profile. For once you don’t have to sacrifice comfort for style; the Savannah offers both in spades. Upholstered in a long-wearing polyblend fabric, the Savannah features a wood frame, tufted pillow back, and tapered Walnut finished legs. 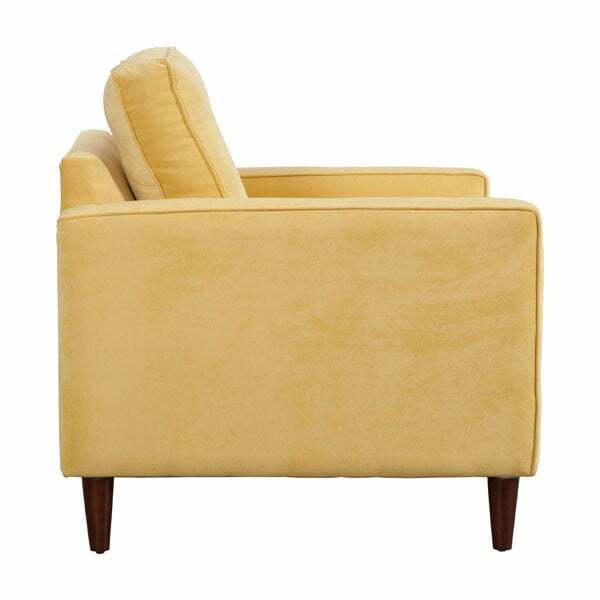 The coordinating piping gives the chair a finished, sophisticated feel, and the lovely soft and cheery color will add a ray of sunshine to your interior design.